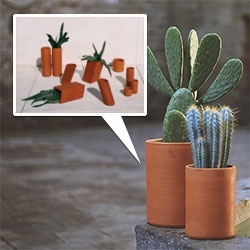 Matagalán Cilindro and Gravedad terracotta planter pots are lovely! 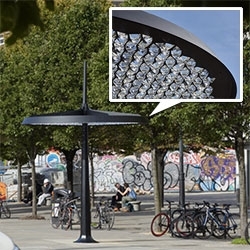 Ommatidium by Samuel Wilkinson and neuroscientist Beau Lotto Made from a canopy of 1,500 glass crystal lenses, this giant, multifaceted lens canopy turns sunlight into an ever-changing display of rainbows on the pavement below. 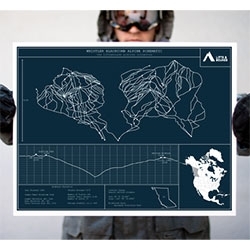 Lifts & Bounds Ski Slope prints and canvases. While the result is a bit etch-a-sketch for me, the photography of the snowy parka man in mittens is great. 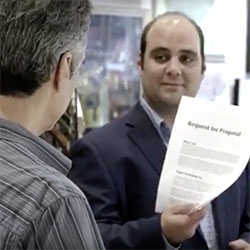 VIDEOZulu Alpha Kilo - "Spec" - can you imagine giving your framer, trainer, barista, or cook an RFP and asking them to do the work (or feed you) on spec? Great video highlighting some issues with the whole process. 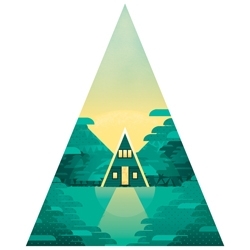 'Hideaways' collection of art prints from Ben the Illustrator, each sits in a different geometric shape on the print and focuses on a different special little getaway in the forest, including A-Frame houses, retro caravans and treehouses. 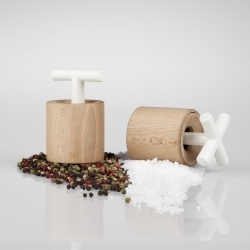 SaSu & PePe, salt and pepper mills, by Sabina Stržínková. 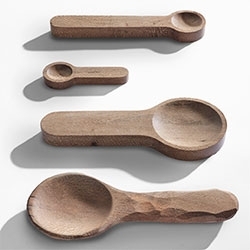 Both simple and functional, made from wood and porcelain. Spokeless, it can be folded up into a single shoulder backpack or trolley. 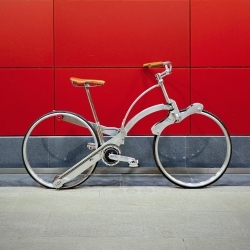 The Sada Bike is intended for those who have decided to make the bicycle their daily means of transport. 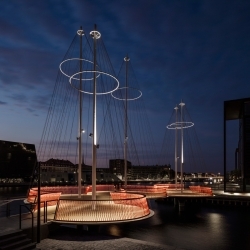 Danish artist Olafur Eliasson designed a circular bridge in Copenhagen, that from a distance looks like boat masts. 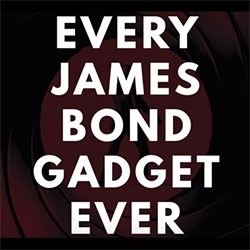 VIDEOEvery James Bond Gadget... ever? 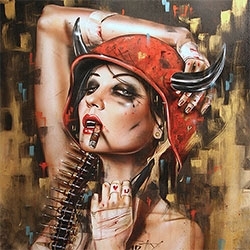 Dirtyland - Brian M Viveros solo show (and book launch!) at Thinkspace opens Saturday. The collector's preview looks stunning! 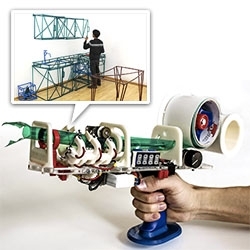 Protopiper: Physically Sketching Room-Sized Objects at Actual Scale - with adhesive tape! Project by Harshit Agrawal, Udayan Umapathi, Robert Kovacs, Johannes Frohnhofen, Hsiang-Ting Chen, Stefanie Mueller, Patrick Baudisch. Project Materialize is an experimental approach to presenting art by ATOM3DP. By fabricating a physical 3D landscape the art transcends emotion and becomes a rational argument. The first artist to participate is Sydney Sie. 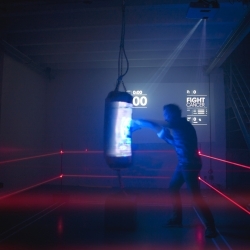 Interactive punching bag lets you step in the ring and fight with your loved ones against cancer. A full Led and sensor equipped punchbag that raises donation for research, punch by punch . 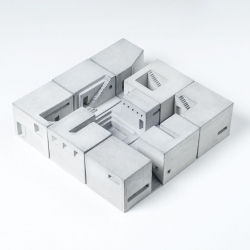 ‘SPACES’: miniature concrete pieces by Material Immaterial studio. 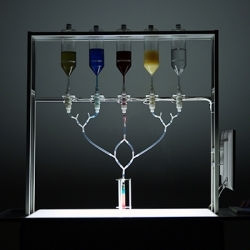 The Social Shot is a mobile bartending-robot that computes personality profiles based on datasets acquired through Facebook and using them to mix individualized drinks. 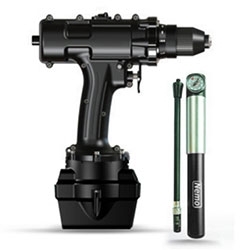 Nemo Power Tools Nemo SPECIAL OPS – 100M is an underwater cordless waterproof drill complete with salt-water resistant ALL-BLACK paint job with no logo for maximum concealment. 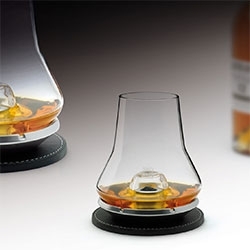 Whisky Tasting Set by Nicolas Brouillac. This originally-shaped glass is the latest addition to Les Impitoyables wine-tasting collection The clever metal cooling base offers the ideal temperature without any need for ice. 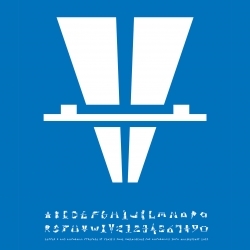 Letterform 'V' contribution by FL@33's Tomi Vollauschek in London, UK, for Autobahn's 26 Creative Characters exhibition, Utrecht, The Netherlands. 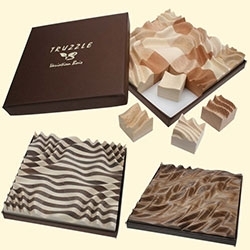 Truzzle - mesmerizing wooden puzzle landscapes by Frank Paris. 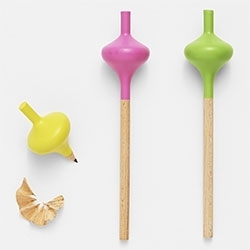 Ortie Design's Spincil - the spinning top pencil... but it won't spin until you nearly use it all up! 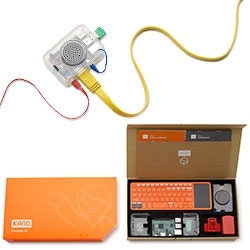 KANO - "It's a computer — and you make it yourself" A nice intro platform for kids (and adults?) to learn about how computers work from the bottom up! 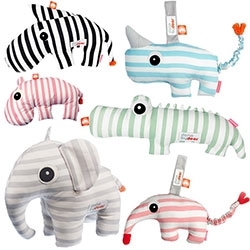 Done by Deer soft toys for babies/toddlers are adorable stripey animals - from elephants and anteaters to hippos, zebras, crocs and more. Elephant comes with a book. 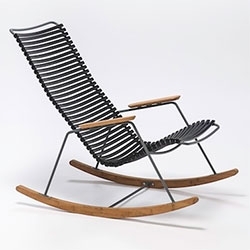 Houe CLICK Rocking Chair designed by Henrik Pedersen. Black plastic lamellas. Armrests, and runners in bamboo. Legs are gray powder coated metal. 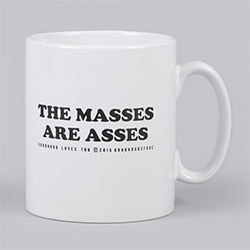 Also comes in gray, white, multicolored. 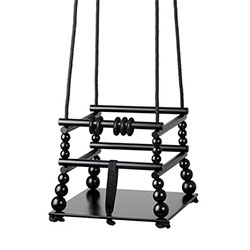 Done by Deer Wooden Swing for babies (in black). corpus delicti Ball Ornaments Eyes 2-pc set. 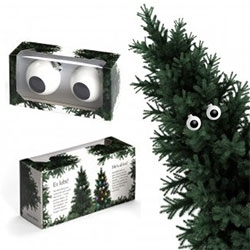 Googley eyes for your Christmas tree! 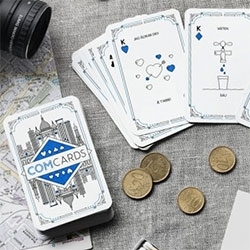 Comcards - playing cards that teach you languages while you play. Perfect for travel! Lovely illustrations as well. 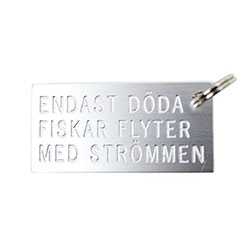 Diskställ Spiral svart designed by Caroline Ramberg for Design Torget. 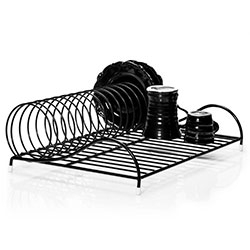 Beautiful dish rack in black or white. 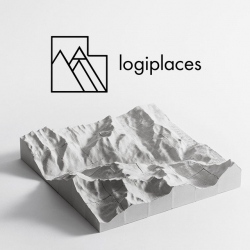 Logiplaces, 16 or 36 piece puzzle made of concrete, that enables you to take home a piece of memory you made at any place in the world. This one-of-a-kind tabletop sculpture will help you see your surroundings in a new perspective. 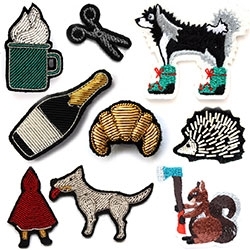 Macon & Lesquoy embroidered patches for every occasion or adventure - the new (also old) enamel pin? 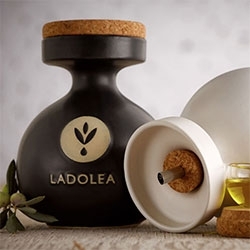 Ladolea Olive Oils from Greece care as much about their olive oil as their packaging. Inspired by the ancient Corinthian pot 'Aryballos' they come in a pot with both cork top and cork pourer. 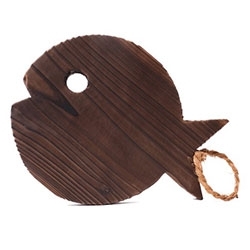 Makers & Merchants - first spotted at Top Drawer, you can now buy it all! 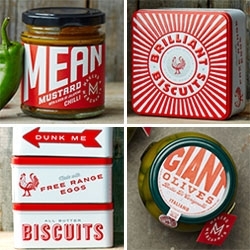 If only all food was as amazingly packaged as everything they make. 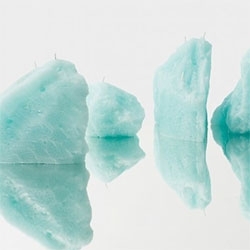 The products are sourced, selected, made and crafted together. 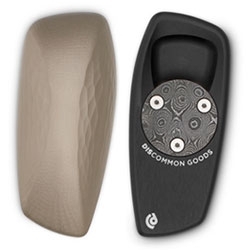 Discommon Bottle Opener - "Tactile and ergonomic, the body is painstakingly machined from aerospace aluminum, hand finished and hard anodized for a lifetime of use." Inspired by a bar of soap, and fits perfectly in the palm of your right hand. 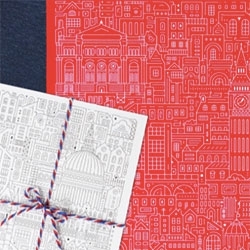 The City Works intricate illustrations of London cityscapes including many landmarks makes for fun poster/wrapping paper, cards, notebooks and more. 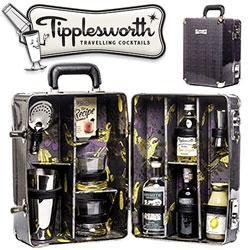 Tipplesworth Traveling Cocktail Cases - everything you need to make Old Fashioneds, Apple and Elderflower Martinis, and Brambles in vintage styled suitcases. 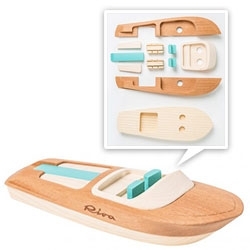 Riva Aquarama Model Boat - a simplified wooden model . "Made in Italy. The surface of the Aquarama boat is perfectly shaped and designed to the smallest detail, with no glue or any other fastener is used in its assembly." 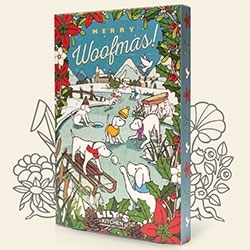 Merry Woofmas Advent Calendar from Lily's Kitchen - filled with dog treats. 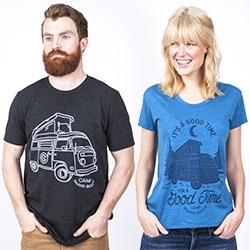 Adorable illustrations! 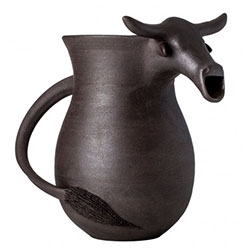 Bull Jug - Designed and made by ceramicist Anthony Shapiro, this Bull Jug pays homage to Nguni breed of cattle in Anthony’s native South Africa. Otocycles, the Barcelona handcraft of electric bicycles surprises again with the launching of the latest design, RaceR. 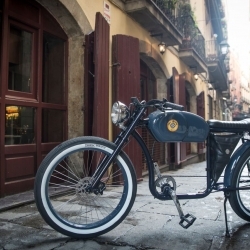 It is the first e-bike inspired by the legendary UK motorcycles Cafe Racer, popular in the 50s. 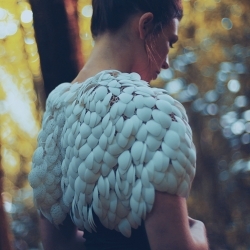 Design studio Love & Robots and costume designer Niamh Lunny have recently teamed up to realize Plumage : a 3D printed, free-moving, customizable cape made from over 6000 moving components parts that give the illusion of real feathers. Reinterpreting an old Ernst Van Haeckel lithograph. 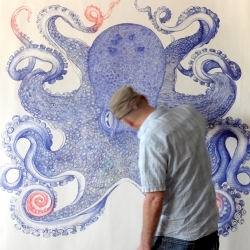 Artist Ray Cicin creates his version using pen and ink. DecksPad™ by Focused Skateboard Woodworks. 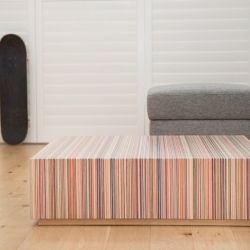 A coffee table constructed from recycled skateboards. Designed to get your adrenaline going at home. If you love sevenply maple, you will love this one! 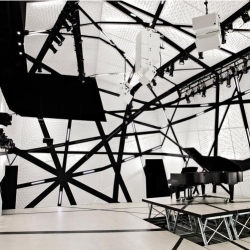 National Sawdust is a new concert hall in Williamsburg Brooklyn designed within an old sawdust factory.